Technology has really made it easy for many to “do PR” and at the same time, it’s made it that much more difficult for brands with good stories to tell to break through the clutter created by brands what simply want to talk about themselves. Some stats to consider below and more advice elsewhere on our blog here. Interested in hearing more from Remedy? Sign up for our newsletter or drop us a line. 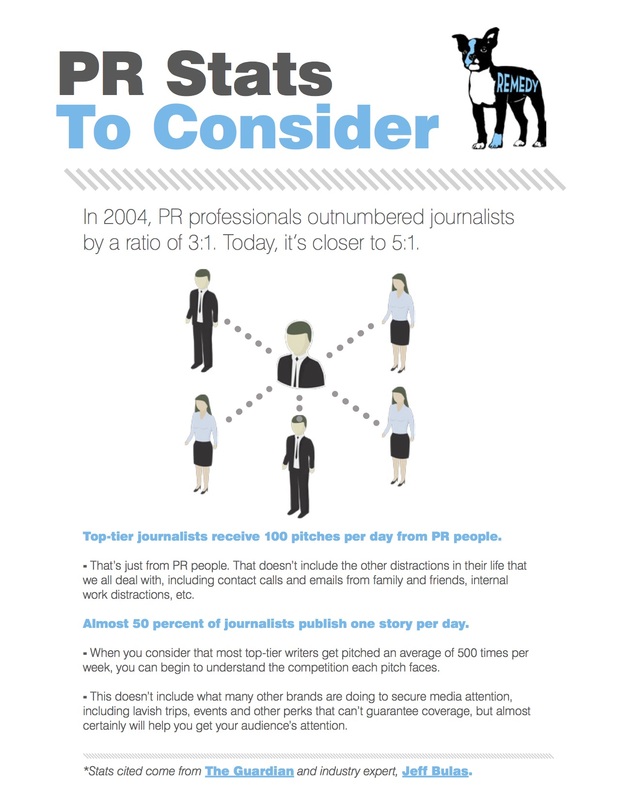 < Questioning Case Studies	> Do You, Or Should You, Believe Your Own PR?